Investors lured by value post Rupert? News Corporation apparently are holding or improving their share value despite the huge reputational damage to the Murdoch regime at the top from the UK Leveson Parliamentary Inquiry. We are wondering if serious investor groups, ironically, agree with the view that Rupert is not a fit and proper person to run an international company, and that the prospect finally of having him removed against all previous experience, will finally release the value in the company massively constrained by nepotistic share structures and appointments. In short the creative destruction of capitalism at the expense of the Murdoch brand to the benefit of his Corporation? Or to put it another way - Murdoch bad, News Corp good? We are actively googling for those Stephen Mayne stories of yesteryear say pre 2010 verifying hundreds of millions if not billioins of dollars of value in News Corp lost by Rupert Murdoch's bad commercial judgement - things like purchase of MySpace, forays into China and no doubt a host of other disastrous frolics by the Grand Old Man, all the while maintaining the ascendancy of his children. "Seventy per cent of the News Corp shares on issue don’t get a vote. Let’s have democracy in Iraq, but not at News Corp. When I ran for the News Corp board in 2002, Rupert completely censored the platform. So it was the only one of my 40 tilts where shareholders weren’t even told how old I was or that I had a degree. That was free speech for you, Rupert-style. So when Rupert does colossally stuff up, it’s hard to do anything about it because whilst the Murdoch family only own 13 per cent of News Corp, this gerrymander gives them about 40 per cent of the vote and the ability to dominate appointments to the supine board, where power ultimately resides. Rupert really should’ve retired in 2006, when he turned 75. It’s been all downhill since then. One billion lost on MySpace, three billion lost on Dow Jones. And now suddenly News Corp has gone from being the most valuable media company in the world in 2007 to being $20 billion behind Disney. And then, of course, there’s phone hacking. With a compliant board and Rupert entrenched as executive chairman, there simply hasn’t been a mechanism available to impose regime change on a control freak who does have dictatorial tendencies and an unfortunate tendency to hire, promote and support rogues, which is something he has done around the world. Representing the Australian Shareholders’ Association, I had lunch two weeks ago with Sir Rod Eddington and Peter Barnes, the two Australian-based independent directors of News Corp. Whilst I can’t reveal what they said, my comments can be openly discussed. And I really enjoyed talking truth to their power for two hours at the Kenzan Japanese restaurant just opposite the old Herald Sun building. At one point, I said, quote, ‘Guys, it must be hard holding the most powerful family in the world to account, representing us non-Murdoch shareholders. But are you up for the job of regime change?’. I’m not confident. When a majority of the independent shareholders vote to remove the Murdochs from the News Corp board next Friday, which they will, it will be very interesting to see how the independent directors react." Murdoch culture from the top of limited biased News on the way out? Official findings of the big Leveson UK parliamentary inquiry that Rupert Murdoch is not a fit and proper person to run an international company. Significant as the UK is the template for Australia's system of law and dominant western European culture albeit it highly multicultural. Also influential as both the leader of the Australian Government and leader of the loyal Opposition here in Australia were both born in the UK. LONDON — Rupert Murdoch “is not a fit person to exercise the stewardship of a major international company,” a British parliamentary committee said Tuesday in a scathing report on News Corp.’s handling of the phone hacking scandal. The report, which culminates months of investigation by a select committee, was far more condemning of the 81-year-old media titan than expected, saying the chairman and chief executive of News Corp. had “turned a blind eye and exhibited wilful blindness” over the widespread malpractice at his now-closed News of the World tabloid. It appears the Inquiry report findings split along political lines of 6 to 4 regarding the Murdoch finding. The Post link is here. We go to that source because it may preface the huge media gorillas in USA and indeed in the government turning on Murdoch. Time will tell. 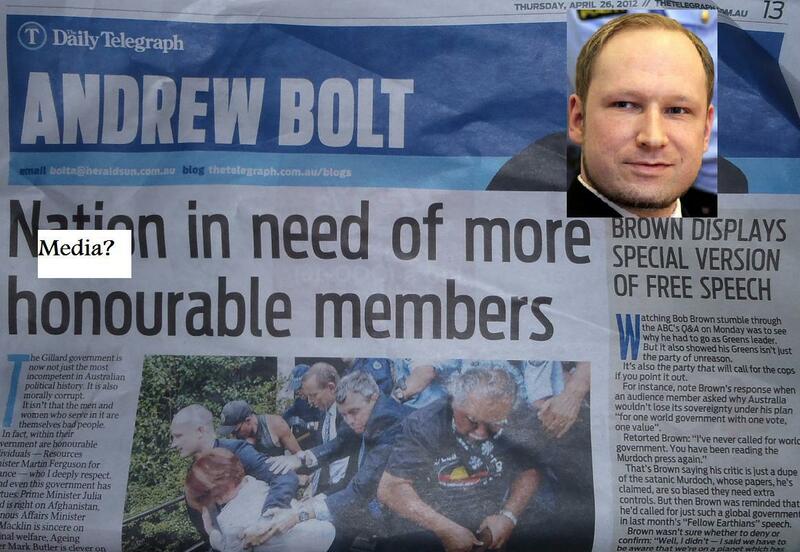 Do Bolt's views echo those of Norway's mass murderer, without actually doing the deed? Certainly there seems to be some common beliefs against multiculturalism. If there are common traits, we wonder if Bolt possibly inherited aryan dutch intolerance from the colonial East Indies network in south east Asia of past centuries? Apparently some of these white colonialists arrived in Australia after the collapse of the Netherlands empire in now Indonesia and Papua New Guinea. And it seems more than a coincidence that high profile Bolt attacks renewable energy initiatives which most thinking people understand to be addressing the science of climate change. 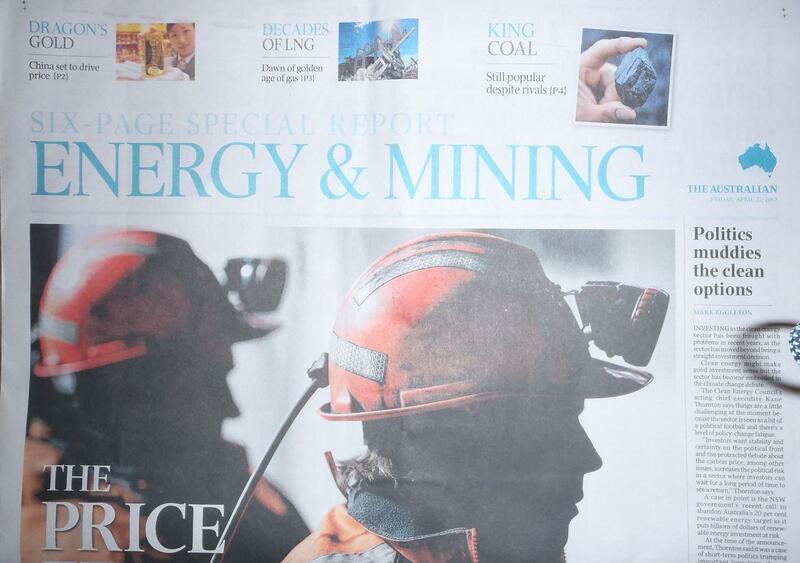 One thing is clear - the institution Bolt writes for - the Murdoch press in Victoria and NSW - is raking in big advertising dollars from the mining industry via a sister newspaper broadsheet as pictured here in today's edition. Sydney Daily Smog left naked by false skyline front page image? Pictures above and below taken by the author today 27 March 2012 at about 8.00 am from Eastwood looking south over Parramatta River to Strathfield and beyond. Mmm, funny how the front page today of the Murdoch owned Sydney Daily Telegraph has sanitised the Sydney skyline by airbrushing the typical brown smudge of smog. Could it be the smog is an inconvenient truth about promoting more motorways and hence more traffic on said tarmac? The fact that literally 1/4 to 1/3 of the Sydney landscape is already dedicated to motorised transport whether it be roads, garages, carparks, and probably other land tenure doesn't seem to rate. But the truth is that's alot of valuable real estate quarantined for cars and trucks and arguably quite excessive already. Indeed we recently went to NSW Dept of Health website and noticed their figure up to about 2009 or so that premature deaths from smog in Sydney is now running at 640 to 1,400 people a year. Putting aside the rather large statistical spread of those figures, it is clear that smog is a killer "right here, right now" as one federal politician Greg Hunt is prone to say. The Sydney Daily Telegraph articles today are prominent in their support for the M4 East and M5 road expansions, but NO ONE believes they won't just choke up like Parramatta Road in a few years unless there is substitution off the roads. We understand Australians buy 1 million cars a year, and a great many of them are in Sydney right here, right now. 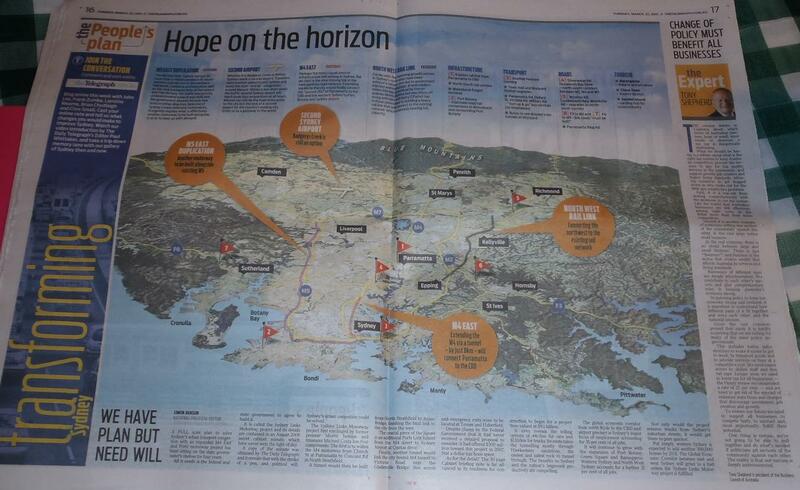 There is token reference to the North West rail line in the SDT package of stories but it's a left over really. It seems the package is all about building the next road. And given head of infrastructure Nick Greiner is a road builder one doesn't have to be a genius to know who the Coalition aligned newspaper is barracking for. No wonder the public are cynical about the Murdoch media, not just politicians. How about addressing the smog Mr Editor? Like supporting conversion to bicycle based transport for short trips? It seems to us fundamental change to transport in Sydney is just too big an ideological problem for an editor who is prone to bashing the current Mayor of Sydney who actually supports bicycle based infrastructure. Picture: [Above] The author in tie and scruffy beard alongside then MP Richard Jones and others in 1994 in a spirited campaign for change in government policy away from high impact woodchipping of natural forests.The speaker on the tray truck is Karenne Jurd then director of The Wilderness Society removed soon after in a Keaing PM inspired coup in the TWS. [Below] is a massive banner on the cliff line opposite the Sydney Opera House - again involving the author as it snagged part way down and required some cliff hanging to release back in our rock climbing days. 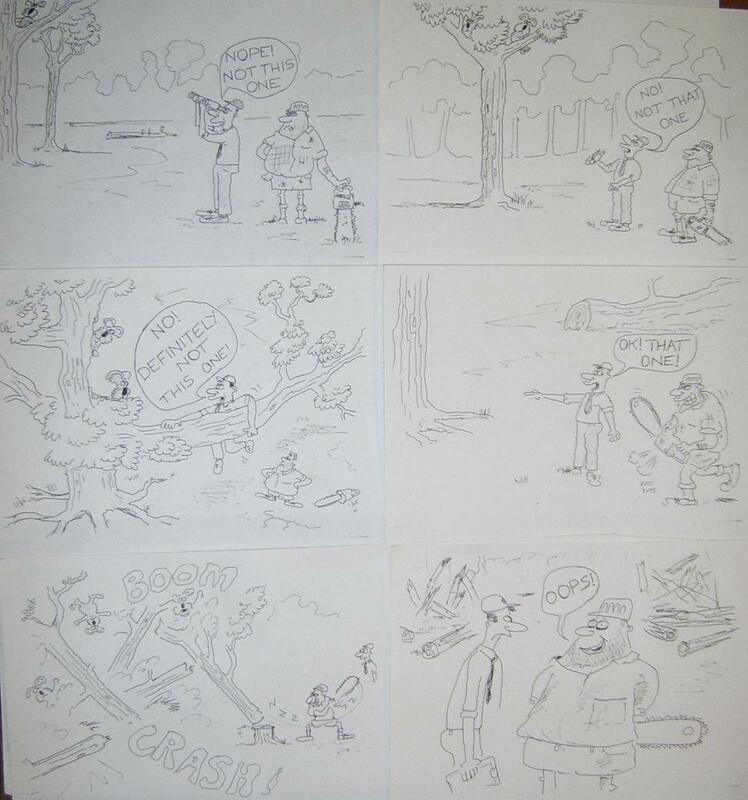 Alot of work went into electing Bob Carr on 25 March 1995 to save forests but the results were disappointing. Columbia (2 million ha, 1977). Even in Queensland in one year 1977 a million hectares of national park was created, and in NT nearly a million hectares in 1990. There is not space here to list other protection decisions in China, USA (4 different states) or Venezuela that outstrip or equal Bob Carr's "world record" fantasy. We also note that Carr was a gifted thespian on the floor of NSW Parliament - that is, he was acting, and relying on comedy to avoid substance. The general message is therefore - cross check Bob Carr before you believe his stentorian voice. We note Carr stated on live abc radio in about 2006 that the internet was irrelevant to mainstream politics just before Obama used the web to fundraise his way to the presidency of the United States. Gore Vidal on a visit here, in the studio with Carr almost choked when he heard Carr's ignorant pronouncement more to do, perhaps, with Carr's edict banning government press releases being archived on the web for the public to access. Our understanding is that Carr sold out 50% of the unprotected publicly owned forest to private logging interests, that is forest that wasn't already in national park that he couldn't get his hands on. To avoid accountability on that Carr hoodwinked the public and the media with expensive tv advertising about 'trees and jobs living together'.This is the factual context of the huge price paid for Carr's PR boast of 300 odd new national parks patchworked across the eastern division of NSW. In our view way too high a price being paid every day now in 2012. In addition to forests proper east of the dividing range, our understanding is that Carr presided over between one and 1.5 million hectares of woodlands in agricultural areas west of the ranges being cleared over about 10 years. (Stephanie Peatling of the Sydney Morning Herald wrote several stories with the official figures which were horrifying when extrapolated over years.) These woodlands would be crucial to moderating record floods today. But at that time in 1995 to 2005 we in NSW were at the end of a 20 year period of mostly drought - the huge loss of nature was arguably even more devastating. Given NSW is mostly arid (or was until the most recent ephemeral floods) and a total of 80 million hectares in size with a humble fringe of coastal green, the loss of nature under Carr was grim. The sensible elements of the green movement today mostly refer to that period of alliance with Bob Carr as delusional. The significance for modern politics is that it is the Carr political PR strategy on the morality of environmentally sustainable forests that is being applied by the federal ALP on climate. It's all tactics for the ALP rather than conviction, to wedge the liberal national party, which admittedly are even more evil on conservation of the environment and therefore easy to wedge. Compare say the Tories in the UK who actually have a strong climate protection policy in unison with their opponents - presumably out of a conviction their little island in the North Sea will be doomed by climate change - which it may well be. Such are the contradictions of Bob Carr, thespian and gifted comic of NSW politics, quite well expressed by Jim Middleton in his article referenced above. Chris Uhlmann's spouse is an ALP politician which is well known in the belt way of insiders, but not to the general ABC public audience. Uhlmann runs his pompous jaded cynicism against The Greens tonight on the 7.30 Report. We think it's projection of his own flaws. His concluding punchline is that the Greens are just like any other political party by failing to criticise Asher, who has quit the C'th Ombudsman role. Wrong for failing to disclose his own ALP family connection. Wrong on the merits because anyone in said beltway knows that no one else at the Senate Select Committee from the major parties was ever going to pursue the questions that needed to be asked, other than the Greens, regarding the desperate plight of asylum seekers and broken detention policy. Asher in effect voted with his morality and his heart to save peoples' lives, which both major parties have abrogated with extended mandatory detention, not least in the face of Dept of Immigration senior bureaucrates saying the system is broken. Which by definition makes the Greens a political party, granted, by cooperating in asking critical questions the answers of which the public has every Right to Know. But it also makes the Greens a very different kind of political party to the lazy, arrogant born to rule characters in the two major parties. Including said ALP spouse. And Uhlmann appears to have deliberately airbrushed out the role the Greens played in embarrassing Gillard on her failed Malaysian solution as an obvious grounds for subjective bias in the quotes from Senator Faulkner. The only real news indeed in the story was that the two major parties are bullies against the Greens and free speech. Nothing new about that. What Asher has done is basically verified what most thinking voters already know. That the two major parties stink with inflated self interest and have no ideals or convictions and only the Greens fight against injustice. Because if Asher had given the dorothy dixer questions to other parties to ask you can be sure the chair of the committee would have shut him down real quick. But Uhlmann prefes sophistry to reporting the obvious real politik? Conflict of interest have anything to do with that Chris? Richo's definition of mad is a bit ... mad? Unreasonable people change the world and society. Lee Rhiannon is such a person, no doubt. I find her unreasonable no doubt. But then we have puffer fish (they are poisonous too) Graham Richardson pontificating on talent pool and sanity of elected officials. Which might play pre GFC but a wise person said: The definition of madness is doing the same thing - read doing the same kind of politics and business - and expecting a different result. That's Richo in the frame there. A dinosaur mendicant to big media and corporate interests including the business donation base of the ALP and broader corporate interests. One notes that Rhiannon's greatest achievement is the promotion of the Democracy4Sale research of such assistance to journalism. Even to the extent of a backlash on herself regarding donation to Survey by a foreign nominally hostile power under Gorbachev. The irony. Mmm. What could Richo tell us about cash in brown bags I wonder? The man has a vested interest. Even if it is ovetaken by the parental career instinct nowdays. As for talent pool of the Greens 'dropping off' after Brown and Milne'. Not according to reports (Crikey) of the green think tank behind the climate change committee. And the WA green senators are superb speakers and thinkers. No problem with talent there. Hanson Young will mature and is already a raw beauty in the political talent stakes that any major party would be proud to annexe, but won't. Qld practicising lawyer. Medical doctor from Victoria. Indeed how deep is the talent in Richo's old mates network, you know, deeper than self interest and Keating's most cynical of philosophy that ushered in the dregs of the middle class? People in glass houses Richo, will not prove to be a sustainable provider. Understand? Secondly the deification of leader Bob Brown, admirable as he is, and courage beyond measure, has his human failings. Failing to publicly stand up for Alec Marr would have to be a big one, duly noted. Especially with Garrett's mates behind the unravelling of Marr. More irony.